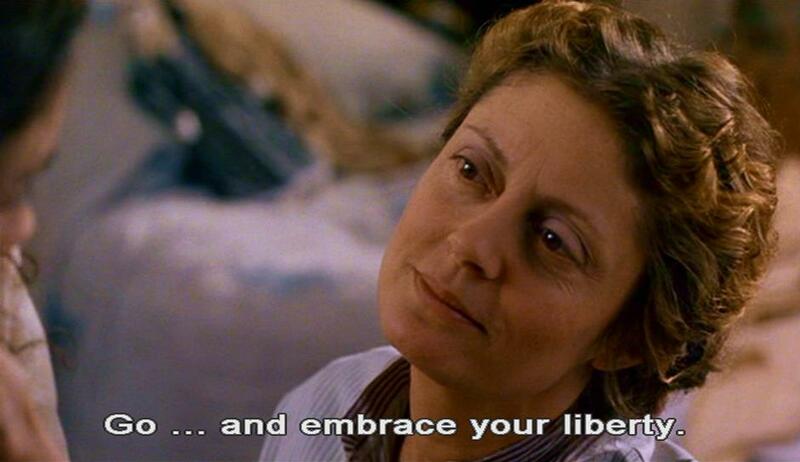 Go…and embrace your liberty. 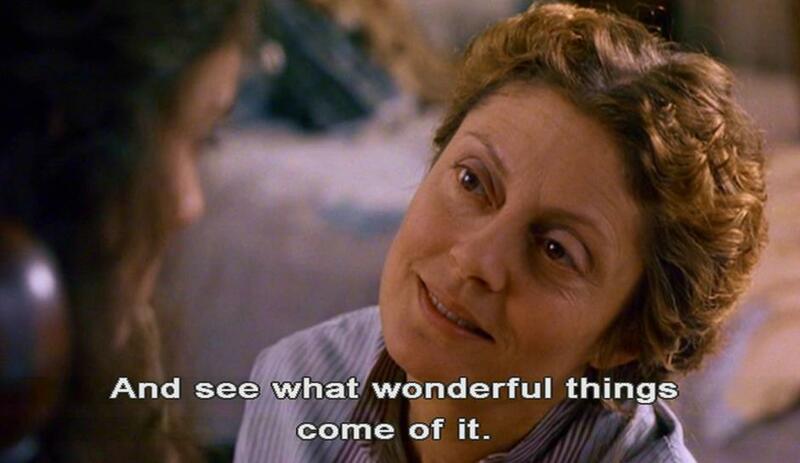 And see what wonderful things come of it. Amy: I don't wanna die. I've never even been kissed. I've waited my whole to be kissed, and what if I miss it? Laurie: I tell you what. I promise to kiss you before you die. Friedrich: But I have nothing to give you. 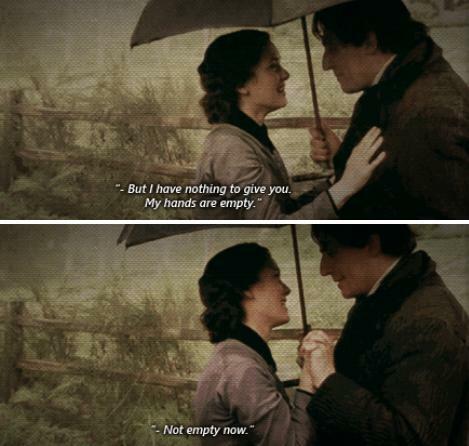 My hands are empty. 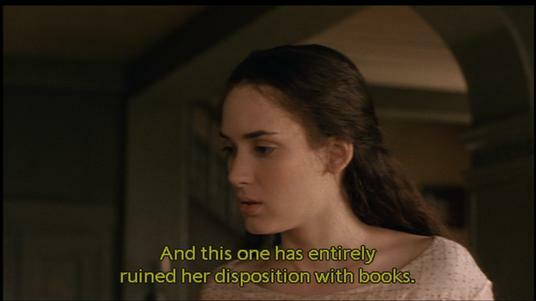 And this one has entirely ruined her disposition with books.